The Wife Saver | Kids in T.O. Since moving to Toronto a decade or so ago, I’ve been trying to create a Christmas tradition for our small family. While I know I could never replicate the Christmases of our childhoods – the epic gatherings of aunts, uncles, first, second and third cousins eating lots of perogies over endless games of kaiser, I long to find our special way to celebrate the holidays in the city. As with most families, memories are tied tightly to food. 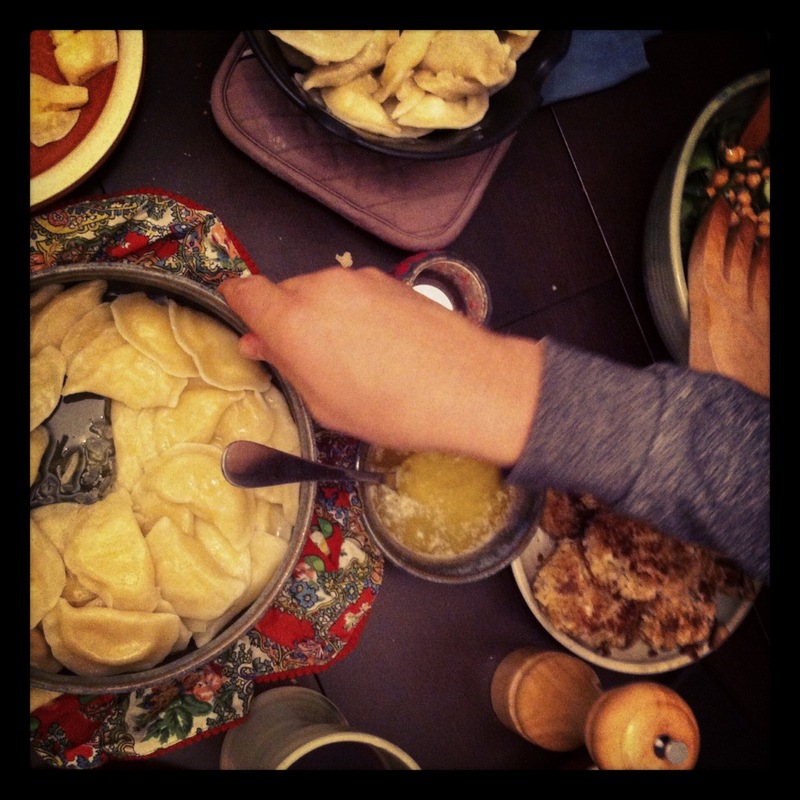 Given my family’s Ukrainian background, perogies are a given on Christmas Eve. But another tradition has emerged. 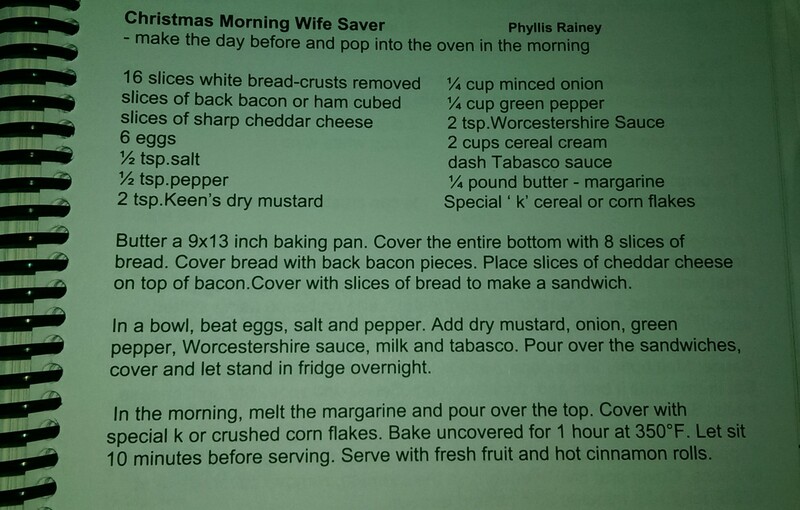 The next morning, the Wife Saver – that easy breakfast that can be prepped the night before so that us housewives can be out of the kitchen to enjoy the magic of Christmas morning with the family. And so for the last couple of years we have been gobbling up this delicious dish after all the gifts have been opened at 5:58 a.m.
I’ve relied on Pioneer Woman’s Cinnamon Baked French Toast. She has never failed me. For an equally indulgent but a savoury dish, I’ve tried this one from Netty’s Family Cookbook – a wedding shower gift from my Baba.